Advocacy works because it is authentic. Whether you’re a non-profit looking to change the world or a company looking to engage your customers in a meaningful way, when your audience is enlisted to help tell your story, the story becomes much more powerful. 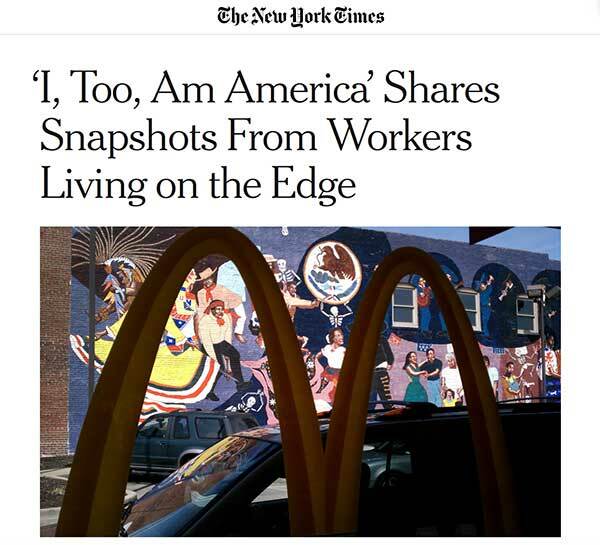 “I, Too, Am America,” was a curated photo exhibit showcasing first-person accounts of the life of fast-food workers living in Kansas City. The aim was to humanize the issue of the poverty caused by minimum wage work. Steve worked with Mike Enriquez, an activist with the Stand Up KC movement, and local workers to estabish the Langston Hughes Club. This was a program that taught workers the basics of photojournalism and encouraged them to record moments that they saw as important. You can read more about the program in the "I, Too, Am America" New York Times article.